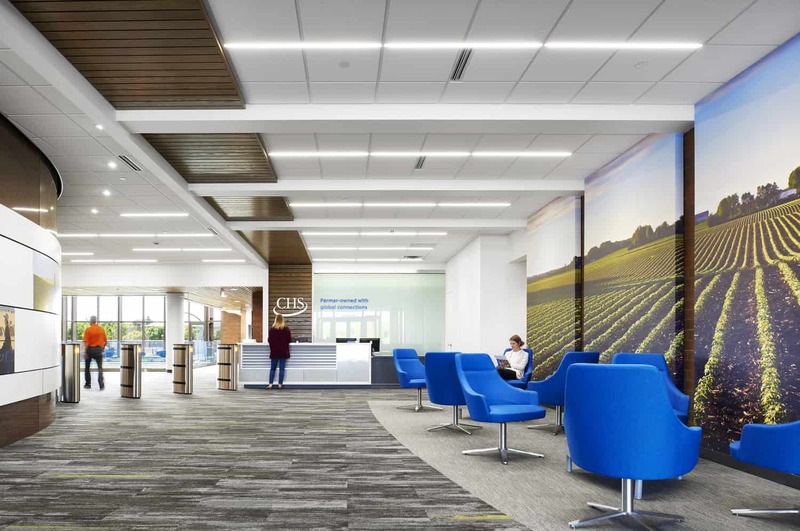 CHS, a member-owned global agribusiness, partnered with BWBR in 2015 to create a master plan aimed at revitalizing and better utilizing the headquarters’ campus and associated workspaces. 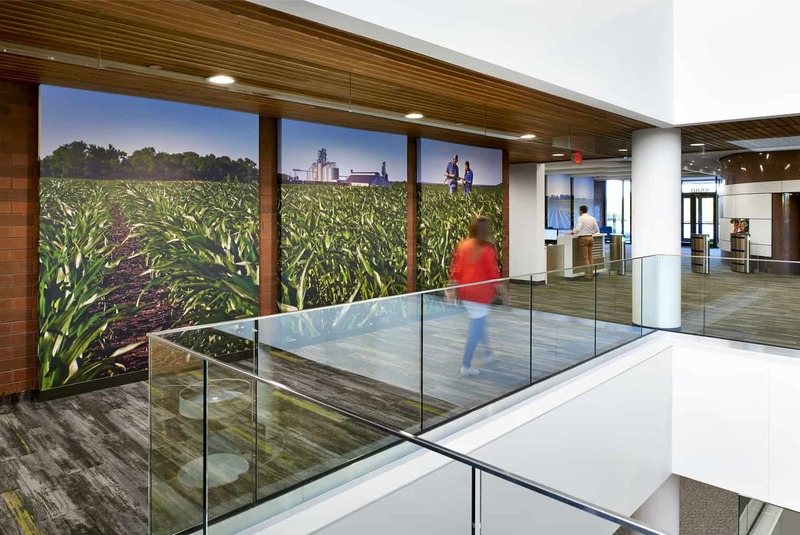 Project goals centered on creating a more collaborative work environment for staff to serve member-owners and reflect the judicious approach that their audience, many of them farmers, take in their own business practices. 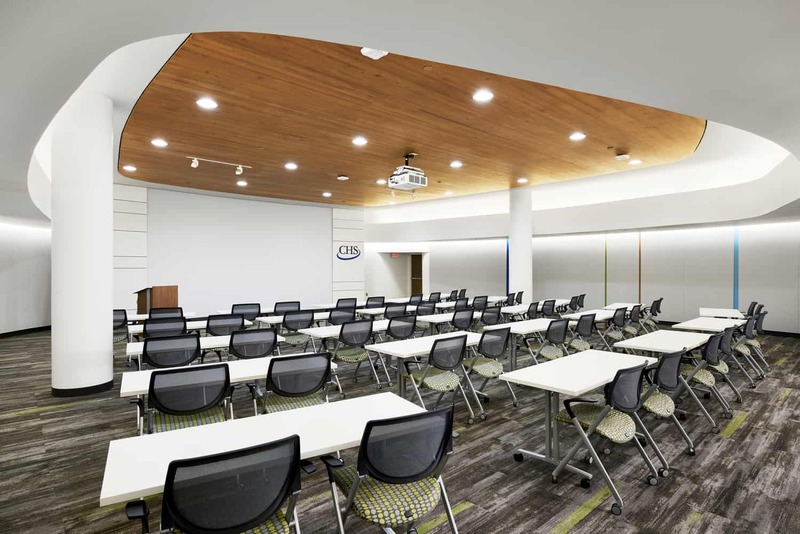 Renovations were phased to provide the broadest benefit to CHS staff and were informed by a research analysis of utilization, available space, shortfalls, and technology needs. 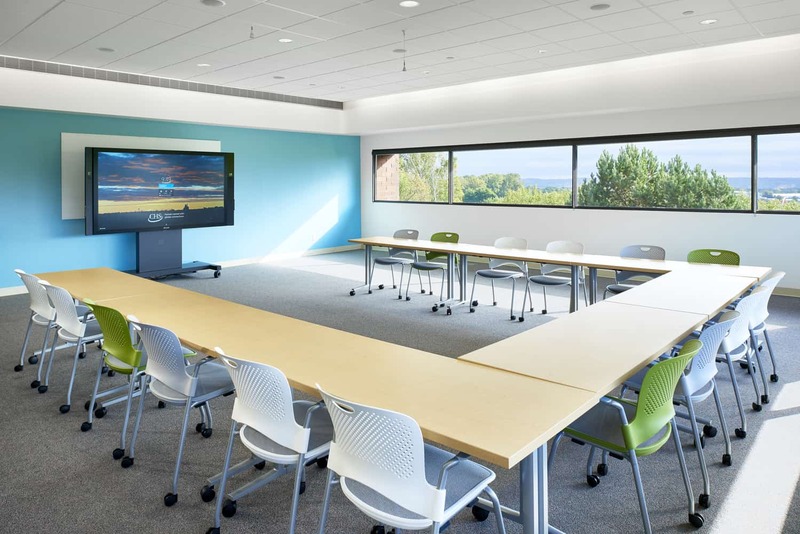 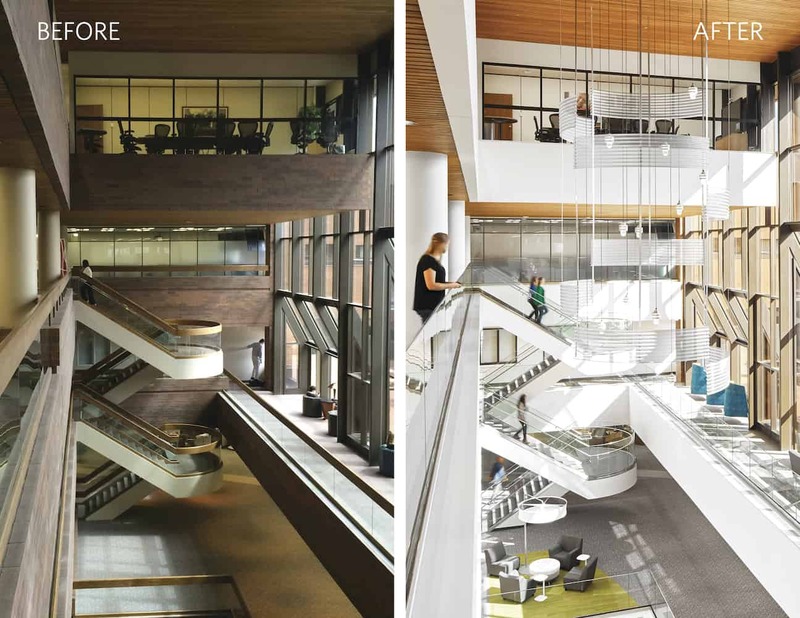 Projects began with a conference room overhaul in 2016 and continued with the main entrance lobby, five-story central atrium, and auditorium to improve mission alignment, brand messaging, and workplace image through access to outdoors, views, daylighting, and a better integration of the masonry and wood ceilings into the interior design. 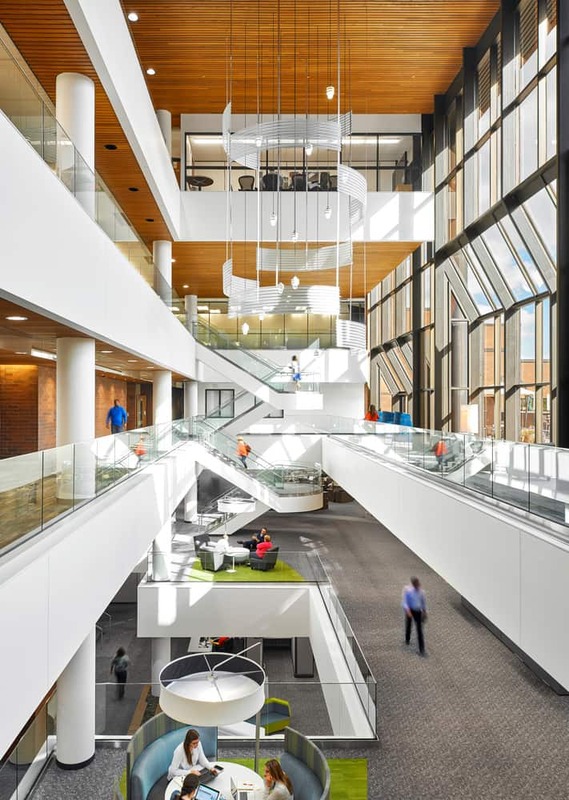 A five-year playbook assembled by the project team supports the multi-phased approach that continues through the individual office floors. 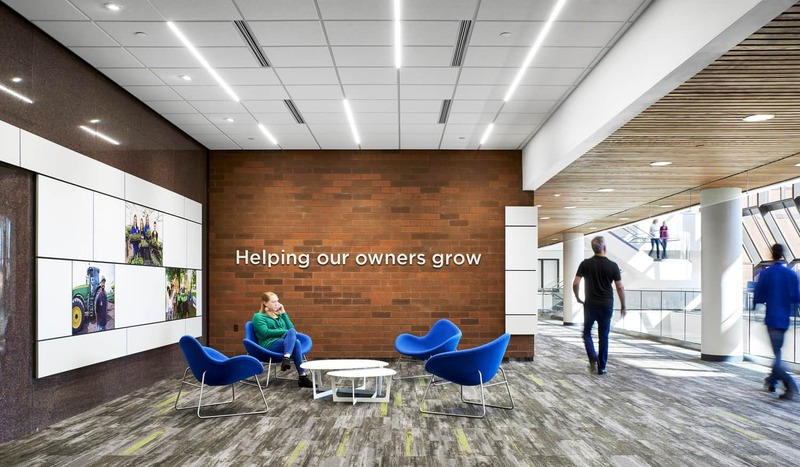 The playbook guides the work to maintain consistency, adaptability, and a cohesive design result through all the phases of the work even as project team members change and evolve.